Karl Heisler concentrates his practice on civil and criminal environmental enforcement and regulatory counseling. For the past 15 years, he has conducted internal investigations involving the Clean Air Act, the Clean Water Act, the Resource Conservation and Recovery Act, the Superfund, and the Federal Insecticide, Fungicide, and Rodenticide Act. Karl has responded to government investigations covering every major federal environmental statute at facilities located throughout the country. He has provided counsel to a number of Fortune 500 companies, responding to grand jury subpoenas, search warrants, civil information requests and whistleblower allegations. He defends clients facing obstruction of justice, false statements and other Title 18 allegations. Clients have described Karl as having "an unparalleled ability to master the facts and an encyclopedic mastery of environmental law." (Benchmark Litigation 2016). 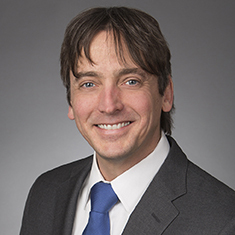 Law360 has recognized him as one of five "Rising Stars" in environmental law nationwide. Karl dedicates a significant portion of his practice to environmental transactions. He provides advice and counsel on due diligence and the availability of Superfund defenses, and he routinely negotiates representations, warranties, and indemnifications in major transactional matters. He has assisted with acquisitions and divestitures of several entities subject to government investigations arising out of environmental and workplace safety incidents. For the past six years, he has taught the environmental transactions course for the Environmental Law Institute, a leader in non-partisan research and environmental law education. Karl's clients include public and private entities in the chemical manufacturing, construction services, waste management and energy industries, as well as lenders, private equity and real estate investment firms with interests in these industries. Karl is a prolific speaker on environmental law and incident response, including cybersecurity. Threat actors are increasingly targeting our nation's most critical infrastructure, which can result in catastrophic harm to the environment and public health. This past year's speaking engagements included "Legal Risks from Cyber-Threats in the Energy and Transportation Sectors" to the American Fuel & Petrochemical Manufacturers and "A Lawyer's Guide to Cyber-Regulatory Enforcement" to the Association of Corporate Counsel in San Antonio, Texas. Karl's pro bono work includes serving as outside general counsel to the Rock Creek Conservancy, a non-profit group dedicated to protecting and restoring the Rock Creek Park and its watershed. Established in 1890, Rock Creek Park is one of our nation's first national parks. Shown below is a selection of Karl’s engagements. Representation of a Fortune 50 energy company in connection with federal civil and criminal investigations arising out of the Clean Air Act's risk management plan RAGAGEP provision, as well as the application of API 570 (Piping Inspection Code), API Recommended Practice 574 (Inspection Practices for Piping Components), API Recommended Practice 571 (Damage Mechanisms Affecting Fixed Equipment in the Refining Industry) and API Recommended Practice 939-C (Guidelines for Avoiding Sulfidation Corrosion Failures in Oil Refineries). Representation of a Fortune 50 energy company in connection with a federal criminal investigation arising out of the application of NSPS Subpart J to flaring operations at an oil refinery. Representation of a Fortune 50 energy company in connection with federal and state civil, criminal and administrative investigations arising out of the application of NSPS Subpart Kb to alleged storage vessels at upstream production facilities. Representation of a global investment trading company in connection with a federal criminal investigation arising out of the application of NESHAP asbestos work practice standards to the renovation of a 450+-unit residential complex. Representation of a Fortune 200 electric power company in connection with federal civil and criminal investigations arising out of the NOx Budget Trading Program. Representation of a Fortune 500 private-sector coal company in connection with a state securities investigation into climate change disclosures. Representation of a trade association for the ethanol industry in connection with government inspection readiness. Representation of one of the largest pipeline companies in the United States as standby incident response counsel, including in connection with multiple EPA, PHMSA, NTSB and state environmental investigations into releases from underground petroleum pipelines. Representation of a global leader in the manufacture and distribution of water treatment chemicals in connection with a post-Deepwater federal criminal investigation into alleged violations of the Clean Water Act on an offshore oil and gas platform in the Gulf of Mexico. Representation of a Fortune 50 energy company in connection with federal and state NPDES enforcement concerns at an oil refinery. Representation of one of the largest independent midstream energy companies in North America in connection with a federal criminal investigation into the alleged dumping of hazardous materials down a storm drain as part of a scheme involving the false production of biodiesel. Representation of one of the world's largest providers of wastewater management solutions in connection with a federal criminal investigation and prosecution arising out of a chlorine release. Served on the team that secured an across-the-board acquittal of a 26-count criminal indictment in United States v. United Water Services, Inc. (N.D. Ind. 2012). Representation of a Fortune 200 leading processer and marketer of fresh pork and packaged meats in connection with a federal criminal investigation into allegations of unpermitted discharges of process wastewater. Provided advice and counsel in connection with the design and construction of a state-of-the-art wastewater treatment system and associated NPDES permitting concerns. Representation of a leading construction materials and services company in connection with a federal criminal investigation into stormwater management practices at multiple facilities located throughout the Northeast. Representation of a senior crew member of the F/V Pacific Breeze, a fishing vessel operating in the South Pacific, in connection with allegations arising under MARPOL and the Act to Prevent Pollution from Ships by failing to maintain an accurate Oil Record Book. Representation of a leading credit and asset-based investor group in connection with a state environmental investigation arising out of a tenant’s abandonment of millions of pounds of cathode ray tubes and related e-waste. Representation of a Fortune 500 natural gas utility in connection with a federal criminal investigation into the alleged release of a natural gas odorant. Representation of a leading lawn and garden manufacturer in connection with federal civil investigations at a packaging facility. Representation of a Fortune 50 energy company in connection with the divestiture of $600 million in oil and gas assets subject to pending administrative, civil and criminal investigations. Representation of a leading lawn and garden manufacturer in connection with the potential acquisition of a fertilizer manufacturing facility. Representation of a leading lawn and garden manufacturer in connection with the divestiture of product lines subject to pending federal civil and criminal investigations. Representation of an aerospace conglomerate in connection with the provision of engineering consulting services to offshore oil and gas platforms. Representation of one of the largest pipeline companies in the United States in connection with multiple access and indemnity agreements, due diligence efforts, and real estate acquisitions. Representation of one of the world’s largest asset managers in connection with lender liability issues associated with term loans secured by real estate. Representation of a financial services firm with an energy focus in connection with institutional controls necessary to maintain bona fide prospective purchaser protections following the acquisition of a Superfund site. Representation of a commercial real estate investment firm in connection with a lender’s request for an environmental opinion relating to a utility’s obligations to remediate a transformer leak on the acquired property. Representation of a Fortune 50 energy company in connection with civil, criminal and administrative investigations by the CSB and various state and local agencies into an explosion and fire at an oil refinery. Representation of a Fortune 50 energy company in connection with a mechanical integrity review of fixed equipment inspection and maintenance programs for oil refineries located throughout the United States, Canada and South Africa. Representation of one of the largest independent midstream energy companies in North America in connection with a federal criminal investigation into an explosion and fire at a hazardous materials recycling center.